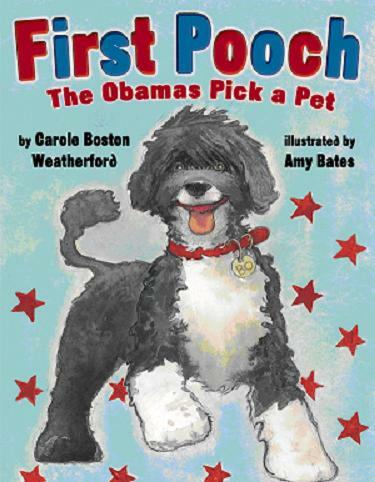 Keeping up with Bo, the subject of FIRST POOCH: The Obama’s Pick a Pet (illustrated by Amy Bates). 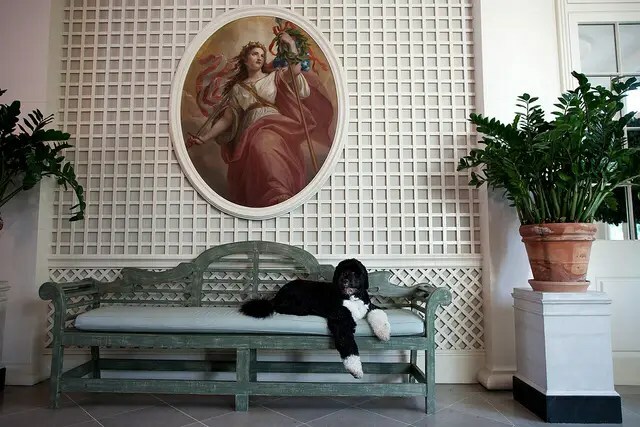 I had long yearned to write a dog book. 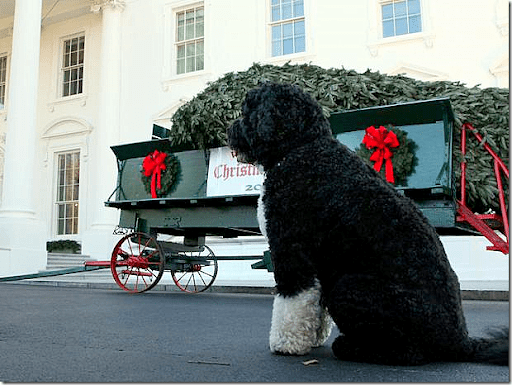 Bo gave me an excuse! 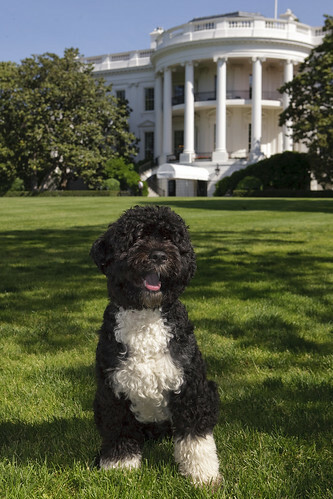 I would love to meet Bo. That would give my beagle Hendrix something to howl about. During the 2011 holiday season, the halls were decked with Bos: 5 Bo topiaries made from such materials as felt, buttons/sequins/beads, pom poms, felt, licorice/marshmallows (above) and trash bags. Counting ornaments and other small Bos, there was a Bo in almost every room. Here’s the video. Bo laid an egg! An Easter egg. One Bo per set of official White House wooden eggs autographed by POTUS and FLOTUS. Sold by the National Park Service.